Sea-Tac Airport now has food trucks twice a day, seven days a week. Vendors including Ezell’s Express II, The Grilled Cheese Experience, Boss Mama’s Kitchen, The People’s Burger and Romin Rome are taking part. They’ll be at the airport on a rotating schedule, with trucks scheduled to operate between 10 a.m. to 1 p.m., and 5 p.m. to 11 p.m. Each day’s vendors can be found at BestFoodTrucks.com. The food trucks will not take away from any of the 180 parking spaces on the lot, according to the Port of Seattle. 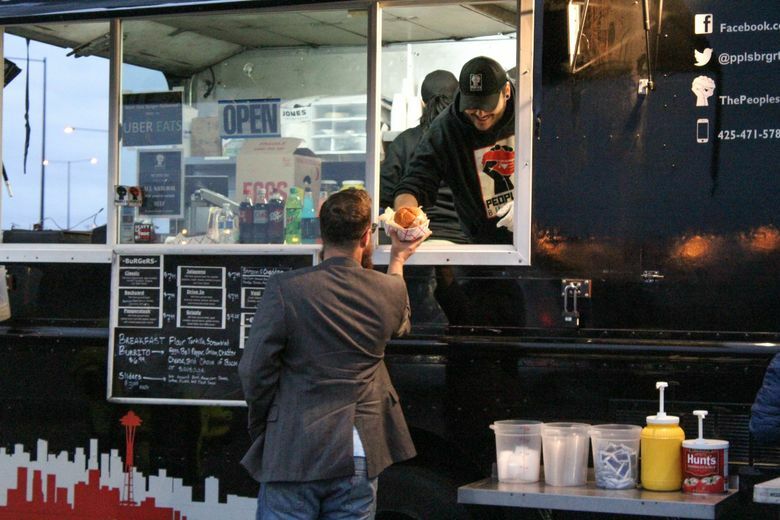 The port, which sees this as an opportunity to get more local, small businesses at the airport, is partnering with the Washington State Food Truck Association on the program. The food truck association is looking for more vendors to sign up; those interested can contact the association through its website at www.wafoodtrucks.org. The port will evaluate whether there’s enough demand to expand the program to other areas of the airport.